This is the second work that I am reviewing for this author and she doesn’t fail to impress. I think now she’s got that style of that Haryanvi, Punjaban or whatever you may want to define the language part and its pretty interesting when she puts them in simple and sometimes rustic way of dialect delivery and it actually adds spice to the story telling. So here we have a story of the Air Force officer Ishaan Faujdaar aka Shanu and the opening in itself is pretty revealing of what you can expect in terms of adventure and I think there are instances that are very close to what the author has seen and it shows in the narrative peppered with real life takes. It also is a kind of historical in the sense that the story has the war as a background and how the air force pilots played a huge role in making it happen. It is also a kind of life and times of an Air Force Officer. We get to see a glimpse of those days especially the way those days of war with Pakistan. It would be worth remembering that Air Force was an integral part in securing the win. The protagonist in the novel and the lead characters are strung together with their work life ideations and the female characters with their assertive traits are Anuja Chauhans style of presenting the best in the plot. And do you remember the Liril ad – the first one under the waterfall, you get to know how it was shot. It also is worthwhile to remember this comes at a time of political up-manship in terms of nationalism and warmongering if I may put it that way. You can read it at a go and there are places you would feel its a bit lengthy but keeps the pace fast overall. One more addition to her work, Anuja Chauhan characteristically makes it another work look so easy for her. Pick it up if you like romances especially the fauji ones and ofcourse some with advertising background. 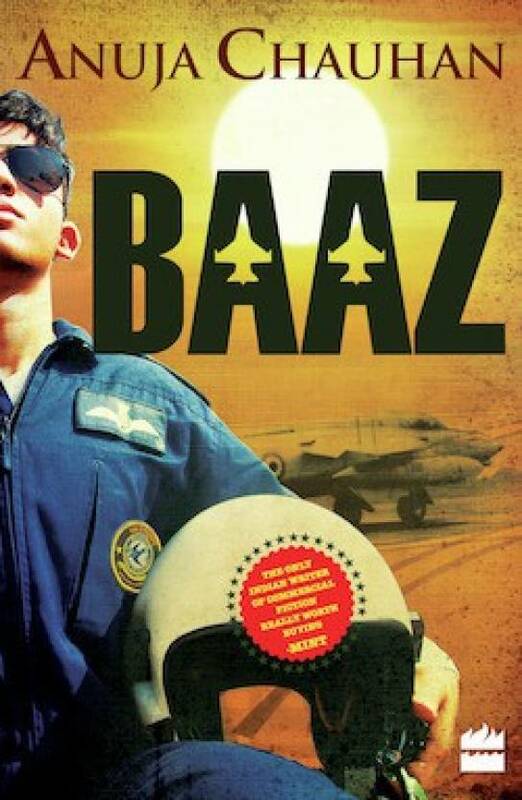 Get to read why its also called or titled BAAZ! This is a part of Flipkart sponsored Book Reviews. Thanks to Flipkart for the review copy.